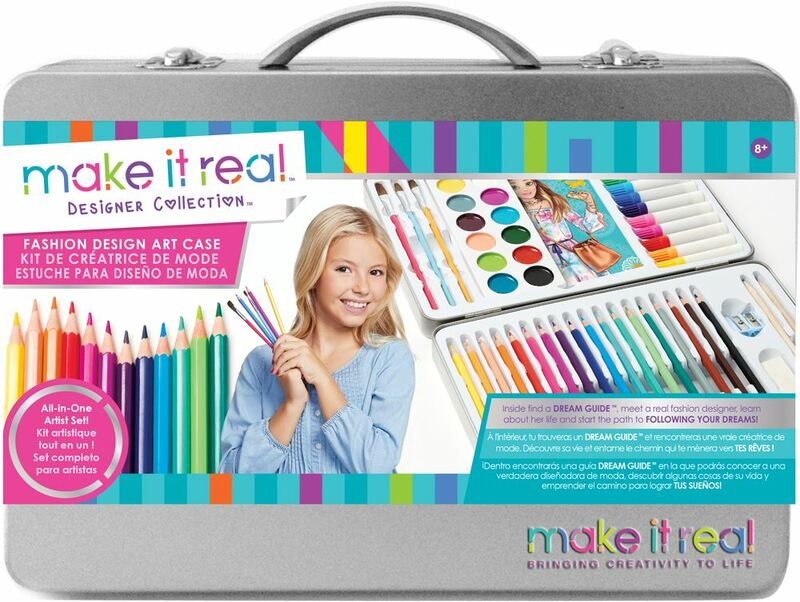 Mini masterminds can develop their design, tracing and creative skills with this ready-to-carry art set from Make It Real. With 18 coloured pencils, 12 markers and so much more, creative youngsters are encouraged to explore colour, shape, texture and mixed media art. Includes: a carry case, sketchpad, 18 coloured pencils, 12 markers, 12 watercolours, 2 pencils, 3 paint brushes, a sharpener, erasers plus a dream guide. Age 8+ years. Part of the Fashion Collection. Distributed in New Zealand by Holdson.